Samsung Enters Cryptocurrency Space, will Apple follow? Yobit.net is a Russia based cryptocurrency exchange that is famous for its controversial nature. They have an on-going investigation by Russian authorities regarding fraud claims. That’s not all, Yobit Russian Investigation, has become one of the most searched keywords online, when people try to look up ‘Yobit’ on Google. But Yobit executives and officials denied accepting any of the claims as true, and rather blamed it on EdinarCoin, another cryptocurrency exchange operating in Ukraine. Whatever the truth maybe, it did shake the trust of its users and investors for a bit. But, without passing a judgment too quickly, this review about Yobit exchange is aimed at providing a clear, transparent and honest stance about this cryptocurrency exchange. We will provide an in-depth analysis, pros and cons and talk about the major features and short-comings of this Russian exchange. Yobit was founded in Russia, and was introduced to the world in Bitcoin talk forum in 2015. Not much information is available about their founders. They have many cryptocurrencies on their exchange, including – Bitcoin, Ethereum, Litecoin, Dogecoin, DASH, Vertcoin etc. and they also have their own coin called YOVI coin (Yobit Virtual Currency). Apart from this, they also have USD (United States Dollar) and RUR (Russian Ruble) as two fiat currencies listed on their portal. They do not allow deposits in any other currency, but these two. The first look at the home-page of their website will take you to a complex and tough to understand exchange. The top-bar has a list of menus, out of which many are confusing, for example – InvestBox. Most of the users won’t have any idea of what an InvestBox is, and what its features are. They have a dice-game featuring Bitcoin, on bottom-right side of the home-page. Apart from the dice game, they also have YobiCodes. We will talk about them in the next section of this review, but one thing that can be said for certain is that – the interface needs a proper go-through and learning, especially from a newcomer’s point of view. You just cannot expect a first-timer to come and start trading on Yobit smoothly. It is a delight for seasoned traders and experts, who want all the information consolidated at one screen. You do not have to slide left to right, or up-down, the entire information is present only on the home-screen in panels. It provides its users with YobiCodes. Now we will explain what these mysterious codes are. YobiCodes are basically a code of recharge, a unique feature listed by Yobit exchange for their users. This feature allows the users to either redeem or auction YobiCodes to other users on chat. You need to press ‘Give Code’ button, enter it on the website after which you will receive balance of cryptocurrency in your wallet. Sometimes the balance is small and you might not necessarily receive the reward in Bitcoin every time, but some users have claimed to receive 0.1 BTC as well! That’s how rewarding it can get. The cryptocurrency deposit/withdrawal is instantaneous. If you are depositing cryptocurrency from an existing wallet to Yobit or you are transferring cryptocurrency from Yobit to another wallet, it will happen as quick as it can. Bitcoin transfers however might be time-consuming because of the congestion on the network. But otherwise, the transactions happen quick. There are many ways of buying cryptocurrency on Yobit. You may either use your debit or credit cards to purchase crypto-assets, or you may also use bank transfers or international wires. They also accept many mobile wallets like – QIWI, Payeer, PerfectMoney, AdvCash, WebMoney etc. They offer two-factor authentication to their users for extra layer of protection. Before you are redirected to the Yobit website, there is DDoS protection layer that verifies your browser before letting you in. The DICE game on bottom-right corner of the screen is also a quick way to earn free Bitcoin. You may either bet for a lower value of the dice or the higher one. The bot on Yobit exchange will roll the dice for you and let you know whether you won or lost. But the dice game may also make you lose your crypto-assets faster than you can imagine. Hence, before starting with anything you must be prepared to lose the amount you are betting. It offers cold wallets, apart from online/hot wallets. Having cold wallets ensures that your crypto-assets are safe from any kind of hack or malware attack. On protection side it has fire system encryption, SSL, intelligent system to analyse queer transactions and blocking. The API it provides can be integrated quickly into bot-systems. Another upside of Yobit is that they list new coins pretty quick. You will find all kinds of ICOs and tokens on their websites. If you think something has potential, but you can’t find any place to buy it – check Yobit because the coin might be listed there! If you accidentally leaked your credentials, you can freeze withdrawals on Yobit immediately. This feature adds an extra layer of security on the platform. As discussed earlier, it is under investigation by Russian authorities, who also threatened to black-list and block the website from Russia completely. The claims might not be accepted by Yobit or their managing-team, but a move as such, is enough to scare investors and user far away. The biggest disadvantage of Yobit is that it does not allow any other deposit apart from USD or RUR. If you are someone who does not own either of the currencies, you might have to spend heavily on converting your national currency into USD or RUR first, before you can buy anything on Yobit. Another downside of Yobit is that listing a new coin on their platform can happen with the blink of an eye. This makes it dangerous, as there might be hundreds of unreliable and fraudulent coins listed on Yobit. You cannot trust every coin you find on Yobit, because they hardly do any hard-verification before allowing the users to trade in that cryptocurrency. The interface is not friendly for newbies or first-timers, and is rather very confusing. It has an extensive learning curve, and you will have to spend hours on the platform to understand the functioning, before investing your money in it. Customer support of Yobit is regularly under scrutiny and criticism. They do not offer a live-chat option, but only have a ticketing mechanism through which users raise complaints. Ticketing is a slow process to solve all issues, hence users frequently complain about Yobit ignoring their grievances. The InvestBox feature of Yobit sounds like a scam. For users to invest money in Yobit or to generate a return on their funds, they need to roll the dice 5 times. Out of those 5 times, you might win or lose, that is uncertain. But suppose if you win the first time in roll of dice, you cannot take your winnings away. You will need to roll the dice 4 more times in order for the payment to appear in your InvestBox. This does sound like a scam overall, since not every move can result into a profit. Lastly, on every online forum or portal, in review-section you will find negative feedback and reviews of Yobit. There are hardly any positive feedback online, and most of the reviews only act as a warning label for new users to stay away from Yobit exchange. Yobit fees is another matter of debate altogether. It charges a flat 0.2% fees on both buying and selling. Yobit does not have any maker-taker model like Poloniex, neither does it reward any rebate to the users who are making orders, like HitBTC. It has no deposit limit on cryptocurrency. You can deposit as many crypto-assets from your existing wallets to your Yobit wallets for free. For deposits in Fiat, you might have to pay depending upon the medium you are using and the currency you are trading in. If you are using PerfectMoney, you will not have to pay anything for both RUR and USD. But if you are using Payeer, you will have to pay 0% for RUR and 5% for USD. For withdrawals, they have different rules and regulations. If you are withdrawing cryptocurrency, you will have to pay 0.0005 coins of that currency as fees. If you are withdrawing USD or RUR from your Yobit account, QIWI will charge you 0%, while Payeer will charge you 2% for RUR and 1% for USD. For your debit or credit cards, the withdrawals will cost you even heavily. For Visa and MasterCard, you will have to pay 70 RUR + 3%. Signing up is fairly easy, as you can make a new account and register in under five minutes. The verification code arrives almost instantly on your registered email ID, using which you can make your account. To verify your account with your government issued identification documents and bank-details, might take some time though. Verification of your account, depends upon congestion and traffic on the network. After signing-up, you can enable 2FA (two factor authentication) on your account to give it added protection. Customer support is under criticism and scrutiny since a long time now. Lack of live-chat window and slow response to user complaints has lead to users being furious with Yobit exchange. 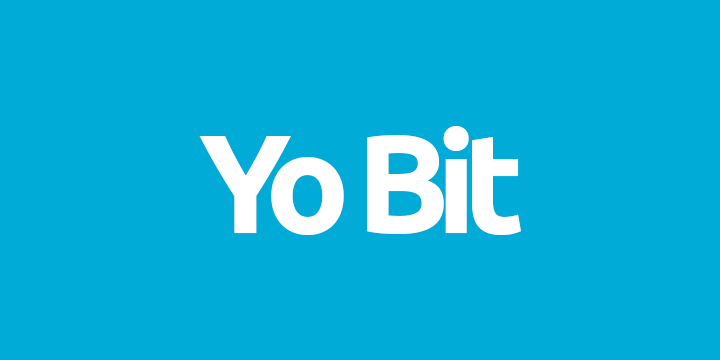 Yobit.netUpdate: Currently under investigation by Russian Authorities. Yobit, a Russian-founded company first introduced on the BitcoinTalk forum in 2015. Widely criticised in online forums and not too much information to be found about them. Given the controversy surrounded we felt it only fair to look a little bit deeper at the exchange and see if they are being harshly judged. Read the review here, in short, not awful but recommend staying away! Yobit is not the ideal cryptocurrency exchange for someone who wants to invest his money in it, because of the recent news and controversies it has been a part of. Before investing, every user must complete his due diligence, and do proper research on his part. Considering this Yobit Review, we have tried to cover every aspect of this Russian cryptocurrency exchange. It has a lot of room for improvement, and it must start with solving customer-issues quickly. I exchange BTC TO USD amount $8. And withdraw to perfect money. For the past few months, Yobit has greatly distorted the price of GRE (Greencoin). Their price on GRE is sometimes a thousand times higher than the price on Coinexchange.io. I joined Yobit to see if I could deposit some GRE and actually sell it at their distorted price, but they won’t allow me to deposit GRE. Something very sinister is going on, it seems. Yobit is a big scam,bringing fake coins and manipulating the price like casino,they introduce LIZA, LIMBO and LAMBO which is not listed in market cap set the price very high initially after holding the coin which the have collected money from holders the will do denomination,this is the worst ever scam….. I am awaiting for my 1 BTC withdrawal request for 7 MONTHS! I have a reddit post on it on Yobit subreddit. No response from the support.